95% of your Digital Marketing Effort is Wasted. Here’s the Fix. A last minute family issue prevented me from attending Enterprise World this year. My disappointment was pretty acute for a couple of days, but at least Jens Rabe stepped up to give the talk. Here are the slides. Let me know what you think. [tweetmeme source= “deb_lavoy” only_single=false] Nike again showed its marketing (but not just marketing) genius with this ad developed for the 2012 Olympic games. This ad takes the “if you have a body you are an athlete” tag line and takes it even higher. They remind us that greatness is not the stuff of legends, but within reach of every single one of us. 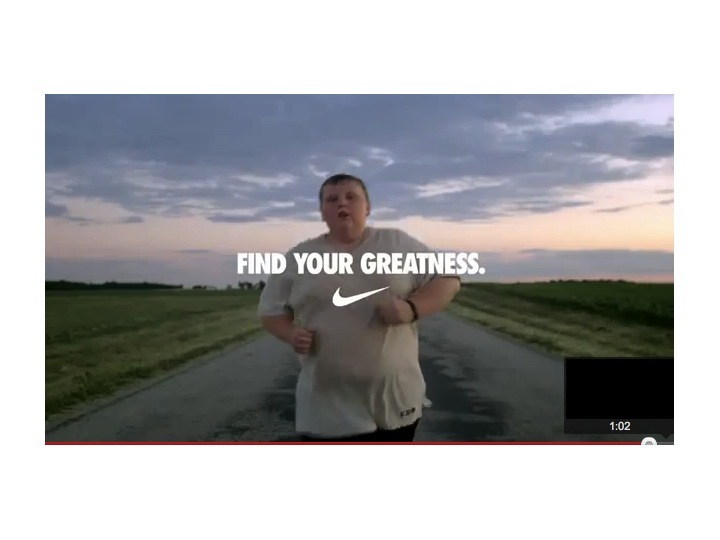 They reinforce this message in a series of ads, one showing a chubby boy, against a dramatic sky, doing his best, finding his greatness. You can’t possibly watch these ads without feeling something. Now Nike happens to make sporting equipment and clothing that are high quality, trend-setting and pricey-but-within-middle-class-reach. If every person in the world were an athlete, then they get to sell more of their products. So it’s a selfish aim, right? Strictly shareholder value, right? This just one example of how a corporate purpose can be both very, very profitable, while also creating value and prosperity for its customers. A great corporate purpose or mission statement expresses the value the company is committed to creating for its customers. It creates a magnetic alignment within the company and the market around that value. People within the organization are now rowing in the same direction, orienting their creativity and energy toward a common goal – without sacrificing their intelligence, skills or capabilities for the sake of consistency. Markets (‘people’) get excited and want to be affiliated with the brand. They seek out the products, and are delighted when the products deliver on the mission. They’ll often even be loyal enough to get past some flaws and stick with the brand as it tries to achieve its mission or purpose (i would always use the word “purpose” but I’m concerned about unintended religious overtones, so I’ve been fussing and fiddling with “mission” and “purpose” and would appreciate your thoughts on which is better, or if there is another term that would be more descriptive). What Nike is also demonstrating, very beautifully, is that they do not just have a purpose (which their website declares to be “To bring inspiration and innovation to every athlete in the world*. (*If you have a body you are an athlete)”), but they have a powerful narrative to go along with it. In fact, purpose and narrative are strongly linked, but not the same thing. We can cite examples of companies that have powerful narratives, but less clear purpose, and those that have powerful purpose, but unclear narratives. Those in the former category are rare – it is tough to have a strong narrative without a clear purpose. Those that do, are generally companies where the purpose once existed and has been lost, or those that have hired great agencies that build narratives independently from the real company. This is where marketing got its evil, manipulative reputation. But people are more savvy now, and truly good narratives, like truly good ads, aren’t common. There’s quite a bit of great stuff out there on why purpose matters. It matters to your team – tied with leadership as the key catalyst to employee engagement – now widely considered the key to accelerated corporate performance. It matters to the market – when competition is so fierce and the field so saturated, it turns out to be purpose that people gravitate toward. They want to buy you, not your widget. We can look at the purpose/narrative progression as a 2×2 matrix, and can show examples of each. Take a quick look – where are you? How would a clearer purpose change your company? How would a clearer narrative change your company? How would it change the world? In the top-left, we have the “Marketers” I know several tech companies (that I won’t publicly name) in this quadrant, but I’d also add most junk food companies, several automobile manufacturers, clothing lines, many consumer goods manufacturers, service providers and retailers (Gap). In the lower left, we have the lost. The lost are primarily hustling to make quarterly numbers. That is their only decision-making criterion. Their marketing is not very effective, their sales cycles are long and unpredictable, their employee engagement is low, their product quality is suffering, and they are generally unpleasant to do business with. Many of these companies once had a clear purpose, if not narrative, at one point, but somehow lost it along the way. A couple of airlines come to mind, some technology and energy companies. Many are small companies that grew large. In the lower-right, we have a small, fascinating set of companies. These are companies that have an intrinsic purpose that they are delivering on, but can’t quite articulate. Many highly innovative companies – especially tech companies – live here. Think about twitter early on – or Reddit – they had some fanatical loyalists, but ask any of them why it was so great, and you got a lot of stuttering. One could say that the entire “social” marketplace still lives here to a large extent. There is one local tech company that I am a big fan of – they have an incredibly powerful approach technology and they are making a lot of money – but only two or three guys in the whole company can sell the product, because they are the only ones who can convey the tacit value of the company and what differentiates them from their competition. Their fans adore them, but they can’t quite cross the chasm because they lack a narrative that connects with a broader market. They recruit their team very, very carefully, and indoctrinate them with a longbreading list and a very strong culture – all good, but very tricky. They see themselves as a small band of brothers (with a few sisters thrown in) who are, in many ways, superior to all they see. They aren’t necessarily wrong. Such companies tend to have charismatic personalities leading the way, standing in for mission. We are not quite certain as to whether Apple’s mission is clear enough to withstand succession from its charismatic founder to its COO. Check out this recent Apple ad campaign (thanks, Siobhan). I’ll let you judge the merits. An ad, of course, is not a mission, but Apple recently had to reveal its generous marketing budget, (really, we already knew they were spending serious money, didn’t we?) and an expensive ad is generally a company’s best shot at expressing its narrative. Customer Experience Management: We want to be adored. Customer Experience Management is the latest impossible to define, understand or implement concept coming at the enterprise. We think it might have something to do with Marketing or Customer Support or Metrics. It is owned by the CMO or maybe the COO or IT or Sales. Oh – it’s a corporate-wide initiative. We love those. We have maturity models, so it must be important, and tantalizingly, some organizations are very successful with it. But what is it? And how do we get a grip on this swirl of a (dare I say wicked?) problem? How do we organize our thoughts and our actions around it to reach that green light at the end of the dock, the customer experience that customers love. You want to be wanted and valued. You want people to want to associate with you. You want people to think of you as an example. You want them to enjoy your company, so to speak. Because the most financially successful companies are the ones that are cherished. It is more than that, of course. 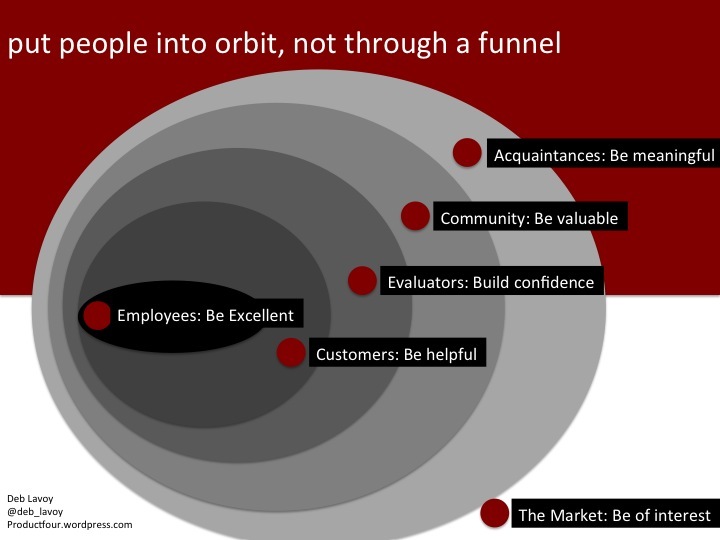 You want to be cherished because, other than a few poikiotherms on the financial strategy team, the people in your organization would rather be great than not. Interestingly, customers (alternatively known as “users”, or more colloquially, “people”) also want to be cherished. They want to be valued, they want to be accommodated, and they want to get at least fair value out of their investments of time, energy and money. If you want this kind of emotional response from your customer, you have to convey a dedication to purpose and sense of values that make your brand and your brand experiences meaningful. You have to aspire to be great. I am proposing a model of CXM that is based on three key principals: Meaning, Value and Accommodation. These principles set up a pattern for thinking about your work that will help your organization make the many small moves on the many, many fronts that will lead to success. Research in the 1990’s showed (not surprisingly) that, for consumer brands, the more positively people feel about the brand, the more financially successful the business is. In the newly social world, this is increasingly important. In the case of complex B2B and B2G companies, it is critical. This is why “no one ever got fired for choosing IBM” or Microsoft, for that matter. Malcom Gladwell dubbed this effect “Blink”, Simon Sinek calls it the Golden Circle. This is perhaps even more important when you are not selling to an individual, but to a team – as is normally the case in B2B and B2C sales. That emotional connection is one of the few shared “truths” of that entire team. This kind of truth makes your brand a very, very good investment. But what does it mean to invest in your brand in the context of customer experience? It means three things: 1) Meaning 2) value and 3) accommodation – not always in that order. What do we mean by meaning? A meaning or a purpose is the notion that your brand and your organization stands for something beyond a simple product or service. That there are values and aspirations you strive to embody and enable. Apple means design, power, cool, simplicity. Buick is the rebirth of Detroit. Levis is about the American experience. Disney is about family friendly entertainment. Zappos is about perfect customer service. In most cases your aspiration or your meaning comes from a sense of where you’d like to go, and how you’d like to get there. In B2B business, it includes a sense of expertise, leadership and empowerment: expertise in the subject area, leadership in terms of helping customers understand how to move forward, and empowerment in terms of how the technology quality. Everything you do can embody your meaning. Your website and its contents, your social media presence, your customer service process, your billboards and your billing. Look at each as an opportunity to be meaningful. Value – as in any commercial transaction, the buyer should feel as though they are getting good value for the time and/or money they are investing. The measure of this varies widely, but the concept is simple. To truly be valuable and accommodating, you need to know and love your customers. There are several ways you must “know” your customers. a. Intimately understand the market and people involved. Who are these people? What do they do with their time? How do they make decisions? What do they care about? Engage them in conversation – either through social media or IRL (in real life). b. As much feedback as you can gather about how they feel about you and your products. from surveys, conversations, sentiment analysis and more. c. Consistent and accessible customer information so that whenever anyone is talking or otherwise communicating with a customer, they know all they should about that customer’s history and relationship with the company. If you want to create a great experience you need to be aware of how your customers needs change at various point in your relationship. As you develop the design and content for each interaction, think through who’s coming to it, at what stage of their relationship, and with what goal in mind. Customer experience maps will vary from business to business, but will have this general shape. Consider your map a cheat-sheet for understanding the impact of each interaction, and what you want that impact to be. In general, you’ll be trying to move them up the slope to a closer relationship. What does this person need from you to move forward? Products, websites, self-service portals, customer communications, customer support, must all reach for excellence in their meaning value and accommodation. That means that they must do the right things, convey the right message, and do it in the most easy to use way possible. They must each demonstrate a careful consideration of the users needs and preferences. 5. Ensure a cohesive and coordinated experience for every customer at every stage. If you’re a company of any size, it is not that easy for an individual know or recall every bit of what you have out there at any time. This is where the principles of meaning, value, and accommodation really come in. If everyone on the team is deeply attuned to purpose and message; and the marketing ops, service ops and creative teams have shared resources, capabilities, and access, a beautifully consistent and emergent whole can arise. Ensure that everyone understands the customer experience map (and the customer) and takes it into account as they plan and execute. You may not have perfectly strict, choreographed consistency (or you might, if that’s your thing)– but that has its upside. It allows for learning and evolution. Every word, experience or image you exchange with a customer is created and delivered by your team. Your team is the driver of your customer experience. Interestingly, there are all kinds of interesting data about how employee engagement is a great predictor of customer satisfaction, and then of revenue, and even growth. The Tempkin Group recently delivered a report that shows that companies with more engaged employees have better customer satisfaction as well as higher revenues. Aberdeen also recently published research (underwritten by my employer, OpenText) showing that great CXM makes a very big difference indeed, especially, (but not surprisingly), in customer retention. Roll up your sleeves, there’s work to do. Forrester says excellence here is yet rare. But focus that work on earning the respect and affection of the people who matter – our customers and ourselves. Enjoy how it feels and what it produces. Be adored.